Rick Perlstein’s 856-page tome is not just about history. Rather The Invisible Bridge is a multi-leveled lament about America’s majority not embracing the Great Society—and not rejecting Ronald Reagan and conservatism. Perlstein focuses on a narrow window in time, running from the aftermath of Richard Nixon’s 1972 reelection until the 1976 election of Jimmy Carter and everything in between. He writes at length about the end of the Vietnam War and the plight of the returning soldiers, and he effectively captures moments of societal change and unrest. But one thing he does not do is look at America with a benign gaze. Perlstein’s book is a dissent and a critique. It is his attempt to settle his own score with the recent past. From the get-go, Perlstein complains of “America the Innocent, always searching for totems of a unity it can never quite achieve—even, or especially, when its crises of disunity are most pressing.” Presenting the Nixon-Ford era as a time of fracture leading to more under Reagan, he refuses to acknowledge that consensus and bipartisanship were in fact more alive 40 years ago than they are today. It is almost as though Perlstein forgot that even as Nixon’s impeachment was looming large, Gerald Ford and then-House Majority Leader Tip O’Neil remained golfing buddies, colleagues as well as key players in a constitutional crisis. Unlike President Obama’s outing on the links with House Speaker John Boehner, Ford and O’Neil’s time together was not staged. For the record, in 1972 Nixon had won reelection in a popular landslide, with two-thirds of the white vote, better than one-sixth of the African-American vote, and more than a third of the Latino vote. Nixon even ran ahead of his Democratic rival, George McGovern, among Americans under 30—a feat a Republican presidential candidate, George H.W. Bush, would repeat for the last time in 1988. Yet just two years after being reelected, Nixon was dispatched from office by a public convinced of his guilt and a bipartisan impeachment vote by the House Judiciary Committee. Back then Southern Democrats like Walter Flowers of Alabama and James Mann of South Carolina managed to find common ground with Hamilton Fish, a New York Republican whose namesake served as Ulysses S. Grant’s secretary of state and as a governor of New York. Caldwell Butler—a House Judiciary Committee member and a Virginia Republican whose ancestors included a Confederate general who received a deathbed promotion from Stonewall Jackson—made common cause with Texas Democrat Barbara Jordan, a descendent of sharecroppers, tenant farmers, and slaves. It was Arizona Sen. Barry Goldwater, the GOP’s 1964 presidential nominee and godfather of modern conservatism, who told Nixon that his time was over and that impeachment by the full House of Representatives and conviction in the Senate were inevitable. Just how strong the American consensus was can be seen in the fact that Nixon and Reagan won their reelections in popular landslides—the only presidents in the last half-century to do so. Both successfully hijacked FDR’s New Deal coalition, which rested on northern ethnics making common cause with white Southerners. Not surprisingly, Perlstein is disturbed by that political jiujitsu. Bill Clinton, George W. Bush, and Barack Obama never came close to sustaining this kind of broad support for their reelections. Against this backdrop, Perlstein should have asked whether America really is less divided today than it was back then, or whether today’s version of broken politics is just more palatable to Perlstein because Obama is president and the McGovern coalition has finally won a place in the sun. Perlstein captures the cultural tensions that were unleashed in the 1960s, played out in the 1970s, and are still with us. But he has a difficult time acknowledging the validity of Middle America’s resentment towards Lyndon Johnson’s welfare state and its consequences. According to the Department of Health and Human Services, nowadays 23.1 percent of Americans are on welfare. The fact that more than 46 million people receive food stamps and that 72 percent of African-American children are raised in single parent homes is not cause for celebration. The Great Society wasn’t so great. Perlstein narrates how New York City teetered on the precipice of bankruptcy in 1975, even as he describes the city as supporting “a program of middle-class entitlement unlike anything else, a sort of socialism in one city: subsidized housing and day-care centers.” Yet he refuses to draw any parallels to the Great Society and its shortcomings. Instead, he takes Nixon to task for scaling back some the excesses of Johnson’s legacy. The author also spills a lot of ink on opposition to court-ordered busing from working- and middle-class Bostonians to make his point about the turmoil of the era and focuses on the late Louise Day Hicks, who won national attention for her opposition to busing in the North. Hicks’s sentiments were, in fact, raw and ugly. Perlstein, however, shows little sympathy for the parents and students who would be living in a sea of change—even as he acknowledges that Massachusetts Sen. Ted Kennedy was sending his own children to private schools. Yet lack of originality aside, Perlstein’s take on Reagan and Republican social rhetoric should not be dismissed out of hand: modern conservatism’s amalgam of pro-market, pro-family, and pro-religion politics is laden with contradictions. Markets can build up individuals and families, but they can also destroy them. Our last 14 years have been a bipartisan debacle of war and economic stagnation, with the fusion of religious observance and intact families emerging as the province of high-end suburban America—in blue states as well as red—and globalization wreaking havoc on the working-class and middle-income families below. The 1976 Republican platform contained over a dozen references to trade, all of them non-critical if not glowing. In the words of the platform, “We shall bargain hard to remove barriers to an open economic system, and we shall oppose new restrictions to trade.” These days we are seeing how well that has worked out, in a universe where GDP expansion is sclerotic and wage growth for most is a thing of the past. Amid this economic turmoil, social issues have lost some of their resonance and credibility, and as Republicans begin to vie for the 2016 GOP nomination, they would do well to be mindful of this disconnect. The past may be prelude, but it is still not the present. As a read, Perlstein’s book is informative, and he has clearly mastered his sources. In that sense, the great length of Invisible Bridge is a backhanded tribute to Reagan, who like Nixon was a colossus of the modern Republican Party, and Perlstein rightly notes that the Nixon campaigns were incubators of future Republican political talent. But what Perlstein ignores is that we are more partisan and divided today than we were in 1976. In contrast to present politics, the Reagan era and the years of his rise to leadership in the 1970s look almost like a golden age of consensus. Perlstein apparently forgot that it was Obama himself who announced that he wanted to be as transformative a president as Reagan. In Obama’s telling, “Reagan changed the trajectory of America in a way that, you know, Richard Nixon did not and in a way that Bill Clinton did not.” According to Obama, Reagan “put us on a fundamentally different path … he tapped into what people were already feeling, which was, we want clarity, we want optimism, we want a return to that sense of dynamism and entrepreneurship that had been missing.” Unfortunately for Perlstein—and Obama—Reagan remains our last iconic president. Reagan led America along a path it was willing to try and to take. Obama, on the other hand, has been engaged in a continuous and exhausting exercise of imposing his will on an unwilling public. To put things in perspective, even as a lame duck Reagan won tax reform and arms reduction. He managed to find allies across the aisle like Democratic Ways and Means Committee Chairman Dan Rostenkowski, while Obama is left to an ever smaller circle of believers and just as few levers of power. 22 Responses to Didn’t Everybody Love Reagan? I’m sorry, do you remember what he campaigned on? And the fact that he won, twice, is an endorsement of a willing public. The only unwilling – however imprecise this term is – are the very vocal and obstructive minority that can’t accept the fact that he won and continually shout him down. They can’t accept that he’s done anything right. I write this as someone who has my own reservations and it is not a wholesale endorsement of Obama. But considering the options, he was the lesser of evils and the “unwilling public” is a propagandic farce. I haven’t read the book — and probably won’t — but one critical element seems missing from Mr. Green’s analysis of Reagan and the American consensus in the late 70s and into the 80s. I came of age during the latter part of American involvement in Vietnam. That war — a disaster on every conceivable level, military, political, moral, and more — was the distillation of the shadow side of American exceptionalism. There was a moment — a brief one — following our humiliating withdrawal from the conflict and Nixon’s equally humiliating resignation (an outcome whose cause can ultimately be traced back to the Vietnam War and the secret deal his ’68 campaign cut with the South Vietnamese government to scuttle the possibility of peace talks) when, in my youthful naivete, I believed (hoped) that our nation would wake up from its delusions about itself, its past, its role in the world, and would emerge as a chastened, albeit saner and stronger country. Alas, that brief moment did not last. Whatever chance it might have to effect real change ended completely with Reagan’s election and subsequent Disneyesque “Morning in America” imagineering of America. This, I think, is the real reason why some of us look back on Reagan and shake our heads in disgust and disbelief. 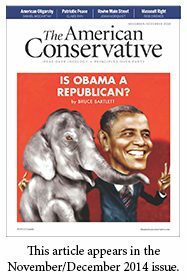 In my view, the essence of conservatism is skepticism based upon a sense of realism and a knowledge of the past. The Reagan years offered neither of these. Instead, it merely accelerated our decline into a society of spectacle, offering up marketing and imagery while diverting the public’s gaze from the hard but necessary work that needed to be done to prepare us for the turmoil that lay ahead. Since Ronald Reagan entered office, the wealth of the lower 70% if the country has diminished. If Reaganomics is a successful economic policy, how do you define failure? Please. I am a Vietnam vet. Americans wanted to quit Vietnam, but they did not want to admit that they wanted to do so. They wanted someone else’s son to die in Vietnam, so they could maintain their “honor” without having to pay the actual price. I haven’t read Perlstein’s book. What I’ve read about it hasn’t impressed me. But this review doesn’t impress me either. No need to be sorry. You are misreading what the elections were about, especially the second term election. Thatanger laste more than eight years. Anger votes of rejection are not clear mandates of any particular agenda. As I went over my balot last night — almost every single rsponse was no. A yes, meant I want more of the same. And I don’t. Not that I voted for change I could believe in the first place. Yuck! But I am keenly aware that change this time in republcan handa had better reflectsoem return to what being a republican means as to sensible governnance. Reagan was to Lincoln what Tom Clancy was to Shakespeare. It is likely the most devastating things to descend from the old Populist-Progressive movement of the last Century are the Primary and the Referendum. Reform unfortunately entails destruction of workability along with the corruption it targets. Someday we will find a happy medium between the Reagan hagiography practiced by Conservative Movement, Inc. and the revisionism of dead-end leftists like Perlstein. The 1970s were depressing years in the United States. Radical cultural upheaval and lifestyle experimentation. Economic stagnation that combined high unemployment with savings-destroying inflation and 21 percent interest rates. The overwhelming sense that the US was in irreversible decline, surpassed by a Soviet Union whose proxies were getting away with terrorism in Europe and overthrowing governments in Africa, Latin America and Asia. We can look back now and say that the Soviet Union wasn’t nearly as powerful as we had imagined. But in the late 1970s the ONLY public figure making the case that the U.S. could unwind the Soviet empire was Ronald Reagan. As President, Reagan made all sorts of pragmatic compromises to achieve his big picture goals, most notably by giving up the fight against Tip O’Neill over government spending after 1982. But the Reagan achievements were stunning, and no President since has come close to equaling them. The world has changed fundamentally since 1989, so the Conservative-Entertainment Complex’s habit of asking “What Would Reagan Do” today is inane. But that does not take away from the fact that Reagan was the right man for the country in 1980 and 1984, and probably 1976 as well. Regarding the title of this piece, no, I didn’t love Ronald Reagan. I could write at length regarding RWR, his virtues and faults, and the changes he helped to usher in. However, I won’t do much more in that regard than point to another work, Tear Down this Myth: The Right-Wing Distortion of the Reagan Legacy, a book that actually somewhat improved my opinion of him as a President (admittedly, an improvement for which there was plenty of room). I will note that while I don’t believe Ronald Reagan and Barack Obama are very similar as men, as politicians, or as Presidents, claiming that Barack Obama has not been transformative seems a bit ridiculous. Additionally, and of relevance in this venue, our current President would appear to be considerably more fiscally conservative than our 40th President, whose spendthrift prodigality frustrated me no end at the time. I would agree with Mr. Green regarding the “fact that more than 46 million people receive food stamps and that 72 percent of African-American children are raised in single parent homes is not cause for celebration.” However, I would also note that a very great number of those people receiving food stamps are the working poor (employed at sub-subsistence wages), their children, and the elderly. These aren’t unproductive moochers leeching off society. A wish to reduce the percentage receiving food stamps with no concomitant increase in their income is Scrooge-ian indifference to a decrease in the “surplus population.” As to the high percentage of African-American children raised in single parent homes, it is most likely true that there is some cultural dysfunction at work there, but something very often overlooked by people who quote that sort of statistic is the extremely high overlap of two sets, the first the set of unmarried African American women of childbearing age and the second set (considerably larger and more inclusive) containing all poor and relatively uneducated unmarried American women of childbearing age. Poor, unmarried, and poorly educated women of all ethnicities are more likely than their wealthier and better educated sisters to have children out of wedlock. Working to reduce poverty and improve education for all Americans would seem the most productive response. In passing, I attended over a dozen schools in my youth because my father’s job entailed a lot of travel. Some of those schools were in “poor” neighborhoods. The difference between the quality of education available there compared to the quality of education in the non-poor schools was very frequently orders of magnitude. That huge disparity is a problem neither President Ronald Reagan nor President Barack Obama have done much to address. I’ve read all three of Pearlstein’s books on the Conservative Movement: Before the Storm; ‘Nixonland; and the Invisible Bridge. They’re worth reading for all the juicy anecdotes, but the political analysis must be taken with a heavy grain of salt, however. I couldn’t stand Reagan. He indulged the anti-science/anti-evolution bent of the Republican Party. Before him, I used to think that the Republican Party was at least rational. After such ghastly concepts as The Laffer Curve and “Trickle-down economics” I had no belief in that anymore. 46 million Americans might be on food stamps today because the minimum wage, adjusted for inflation, is only 65% of what it was in 1968. Get your facts straight. Welfare includes far more than just things like SSI, Medicare, and food stamps, it also includes things like tax rebates, the EITC, and agricultural subsidies. When you factor all these in, you find 99.9% of the American population benefits from ‘welfare’ during their lifetime. Americans love socialism. The great argument of the day is who benefits from it. Reagan thought the federal government should subsidize the affluent, politically connected (at the expense of everyone else mind you) while Democrats are more intent on sharing prosperity to the bare minimum (e.g. they still intend on preserving class privilege and the like). On a side note, Reagan wasn’t well-liked when he was in office…just like almost every other president who served (e.g. George Washington). I have not read any of this gentleman’s texts. But based on te review, his understanding of what liberals did during the mid 1960’s through 1978 needs someserious readjustment. In my view that has turned out well for certain intersts but not so well for the country as a whole. I am deeply concerned that the value and consequence of having two parents married and committed to the family is at 30 or 40 percent based on two stats on the qeustio. Whether 75 or 67 percentage points is uniquelyhigh when compared to ther colors. And i maters not that the population is black as citizens, that number should concern us regardless of color. When I was little, I loved Reagan in Death Valley Days. No, free trade, union bashing, tax loopholes, off-shoring and outsourcing have not been great.If you don’t want people on welfare, they have got to make enough to support themselves. I get tired of this magical thinking, that if only people would just let themselves starve instead of getting help, we’d be…I don’t know … relieved of facing the consequences for bad conservative policies? No, I despised him. In retrospect, I think he probably had early stage Alzheimer’s when he first took the oath of office. He puttered through eight years on afternoon naps and disoriented platitudes, which a Machiavellian cabal of America’s elite ran the government for him. Oh, I wasn’t voting for Carter or Mondale. This was during the quarter century or so when I agreed with the right-libertarian California businessman who used to put up those Quixotic billboards “Don’t vote, it only encourages them.” I’ve tried voting again 2002-2014. Not sure I’ll bother in 2016. Godzillary vs. The Blob? I had no personal arguments with the Mr. Reagan, unlike the observer above. As I recall, the electricity flowed predictably, without sustained interruption; the natural splendors of Yosemite bloomed unimpeded; and CT-technology in the medical field advanced to stunning levels. Whipper-snappers out there may be assured that the Nobel Prizes in Physics, Chemistry, and Physiology & Medicine … subsequent to the 1980-1988 terms of office … were not canceled because of a dearth of scholarly accomplishments within the US, during this era. Indeed, Don Herbert’s “Mr. Wizard’s World,” a science program for kids, ran on cable’s Nickelodeon from 1983-1990 … before Republican operatives discovered its transmitting station and secured its doors with transparent tape. Just kidding with that last part. It was duct tape. No, really, just kidding. I suppose the Reagans may have had a fling with a psychic or two, but actors are only a little less given to self-indulgent hysteria than many realists out there, grumpy or not. I’m not kidding. Perlstein has written the same book about the end of the world, civilization as we know it, democracy in America, or something or other, three times. Once ostensibly about Goldwater, once ostensibly about Nixon, and now once ostensibly about Reagan. Read one, you’ve read them all. He was a mediocre actor,but his wife a good one,funny dat. No…I didn’t LOVE Reagan!!! Reagan was a racist President like the other Presidents…only thing is he didn’t own slaves (I think) maybe his great or great, great or great, great, great Grandfather did or Hell maybe all of them!!! But Reagan slashed programs and created laws that were unjust to us “brown” (Afro|African|Asiatic) people!!! (Did Reagan forget that most of his Caucasian women were receiving welfare)…hmm? ?